Superior Paving, one of the largest asphalt pavers in the South, has selected the SmartDrive Transportation Intelligence Program to increase the company’s safety culture throughout its entire fleet. SmartDrive, equipped with SR4 hardware as its video-based safety program, will allow Superior Paving to continually assess its safety performance as the company evolves, and measure its performance against peers. The system has cameras to specifically record sideswipes, which are typically a difficult situation from a liability standpoint. SmartDrive transforms massive volumes of data generated by commercial fleets into real-time actionable information, predictive analysis and prescriptive actions that drive measurable value for businesses. 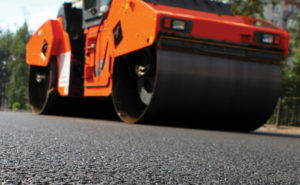 Initially, Superior Paving will use the data to analyze smooth driving, hard acceleration, tight cornering and idling in order to increase fuel efficiency. As the company’s safety culture evolves, management plans to incorporate it into driver reward and recognition programs as well. California-based SmartDrive Systems employs over 725 people worldwide and is ranked one of the fastest growing companies by Deloitte’s Technology Fast 500.